An internationally recognized expert on outcome management, medical staff development and quality of care improvement, Dr. David Nash appears frequently on Modern Healthcare’s list of the Most Powerful Persons in Healthcare. He is the Founding Dean of the Jephson School of Population Health, an appointment that came after a twenty-year tenure on the faculty of Thomas Jefferson University. He also holds the title of Dr. Raymond C. and Doris N. Grandon Professor of Health Policy. Dr. Nash is highly sought-after as a consultant to both public and private sector organizations. The long-term Chair of the Technical Advisory Group of the Pennsylvania Health Care Cost Containment Council, where he pioneered work in public reporting of outcomes, he is also on the Board of Directors at Humana Inc., one of the largest publicly traded healthcare companies in the USA. 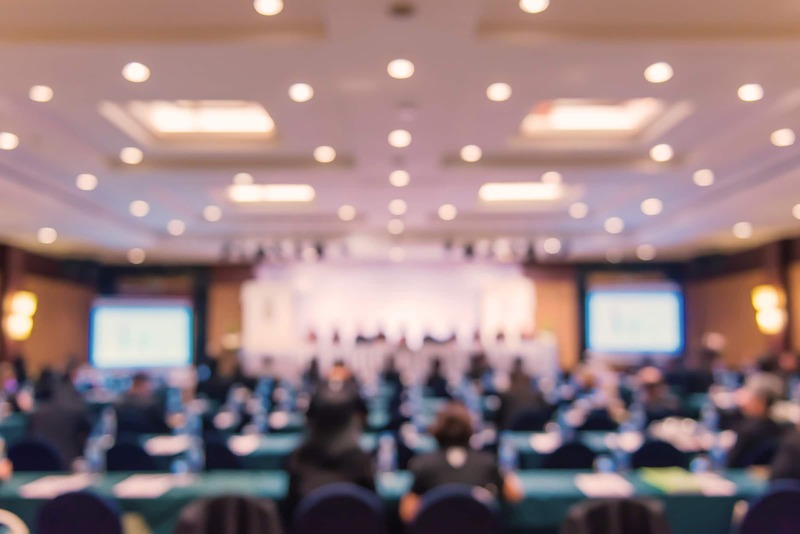 Other appointments include being on the Board of Directors of Endo Health Solutions, a publicly traded pharmaceutical company, and being a board member at Main Line Health, a four-hospital system in Philadelphia. He previously served on the Board of Trustees of Catholic Healthcare Partners, chairing the Board Committee on Quality and Safety. A prolific and popular writer and speaker, Dr. Nash has an audience of over 100,000 people each month following his publications, public experiences, blog and his online column on MedPage Today. The author of over a hundred articles in prestigious journals, he has also edited twenty-two books. He currently holds the post of editor-in-chief at five of the USA’s most important medical journals, including American Journal of Medical Quality, Population Health Management, P&T, Biotechnology Healthcare, and American Health and Drug Benefits. He holds a BA in economics from Vassar College, an MD from the University of Rochester School of Medicine and Dentistry and an MBA in Health Administration (with honors) from the Wharton School at the University of Pennsylvania. 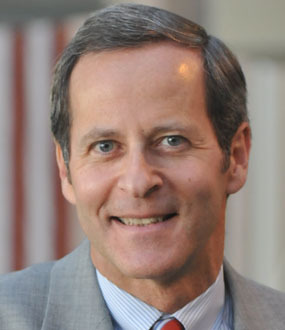 He is a recipient of the Philadelphia Business Journal Healthcare Heroes Award, the highest recognition award from the Academy of Managed Care Pharmacy, the Elliot Stone Award for leadership in public accountability for health data from NAHDO and the Wharton Healthcare Alumni Achievement Award. 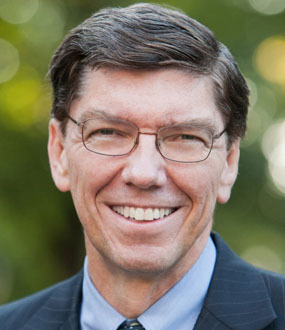 David Nash was named the Founding Dean of the Jefferson School of Population Health (JSPH) in 2008. This appointment caps a twenty-year tenure on the faculty of Thomas Jefferson University. He is also the Dr. Raymond C. and Doris N. Grandon Professor of Health Policy. JSPH provides innovative educational programming designed to develop healthcare leaders for the future. Its offerings include Masters Programs in Public Health, Healthcare Quality and Safety, Health Policy and Applied Health Economics. JSPH also offers a doctoral program in Population Health Science. Dr. Nash is a board certified internist who is internationally recognized for his work in outcomes management, medical staff development and quality-of-care improvement. 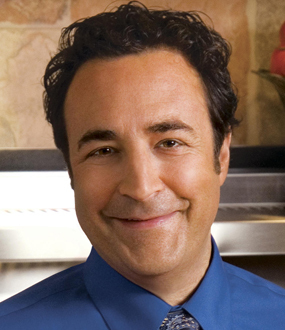 In 1995, he received the top recognition award from the Academy of Managed Care Pharmacy. He received the Philadelphia Business Journal Healthcare Heroes Award in October 1997, and was named an honorary distinguished fellow of the American College of Physician Executives in 1998. In 2006 he received the Elliot Stone Award for leadership in public accountability for health data from NAHDO. In 2009, Dr. Nash received the Wharton Healthcare Alumni Achievement Award. Repeatedly named to Modern Healthcare’s list of Most Powerful Persons in Healthcare, his national activities cover a wide scope. He served as Chair of a National Quality Forum Technical Advisory Panel and is a member of the Board of Directors of The Care Continuum Alliance (formerly DMAA). 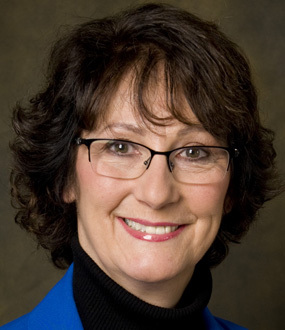 Dr. Nash is a principal faculty member for quality of care programming for the American College of Physician Executives in Tampa, Florida, and is the developer of the ACPE Capstone Course on Quality. He also leads the academic joint venture between ACPE and the JSPH. Dr. Nash is a consultant to organizations in both the public and private sectors. He has chaired the Technical Advisory Group of the Pennsylvania Health Care Cost Containment Council for more than a decade and he is widely recognized as a pioneer in public reporting of outcomes. In December 2009, he was named to the Board of Directors for Humana Inc., one of the nation’s largest publicly traded healthcare companies. In March 2011 he joined the Board of Directors of Endo Health Solutions, a publicly traded pharmaceutical company headquartered in Chadds Ford, PA. He recently was appointed to the Board of Main Line Health—a four hospital system in suburban Philadelphia, PA. From 1998–2008, he served on the Board of Trustees of Catholic Healthcare Partners in Cincinnati, Ohio where he chaired the Board Committee on Quality and Safety. Through publications, public appearances, his blog and an online column on MedPage Today, Dr. Nash reaches more than 100,000 persons every month. He has authored more than 100 articles in major journals. He has edited 22 books, including Connecting with the New Healthcare Consumer, The Quality Solution, Practicing Medicine in the 21st Century, Governance for Healthcare Providers Population Health: Creating a Culture of Wellness, and most recently, Demand Better. From 1984 to 1989 he was Deputy Editor of Annals of Internal Medicine. Currently, he is Editor-in-Chief of five major national journals including American Journal of Medical Quality, Population Health Management, P&T, Biotechnology Healthcare, and American Health and Drug Benefits. 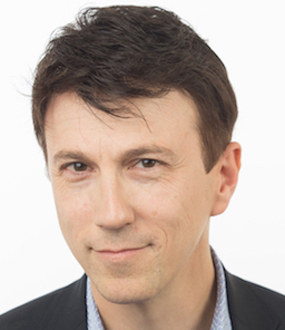 Dr. David Nash brings his outstanding experience, knowledge and passion to a series of keynote speeches that review the current quality of healthcare in the USA and suggest future paths for improvement. Dr. Nash believes in patient-centered care, and presents his vision of the way in which this can be achieved through data analysis and the development of efficient evaluation systems. Dr. Nash can also speak on a wide range of other medical related topics, from disease management to advisory board development, from cost containment to public accountability. Dr. Nash calls on the fields of public health, health administration, medicine, health law, and public policy to improve the quality of health care in the US and participate in the system's transformation. This program offers an overview of current problems and inadequacies; the measures and tools of quality improvement; the role of stakeholders including physicians, employers, and patients; and future possibilities offered by information technology, medical education, and other realms. His program compiles the most current information on quality issues, tools and strategies impacting healthcare. His core premise is that the key to effective improvement is centering all efforts on the needs of patients. With the future of healthcare revolving around the patient, the tools from this program prove invaluable. Poor healthcare quality is a public health emergency. The Institute of Medicine called the substantial gulf between the vision of ideal care and the reality of what most individuals receive a quality chasm. The Quality Solution enlightens, informs, and challenges professionals in public health, medicine, health administration, and health law to bridge this chasm and to participate in the transformation of the healthcare system through the science of healthcare quality-measurement and improvement. 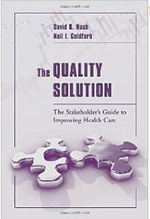 Through the contributions of a knowledgeable and experienced panel of authors, The Quality Solution profiles initiatives of the key healthcare stakeholders—consumers, payers, healthcare providers, and employers—and how they can work together to improve healthcare quality.